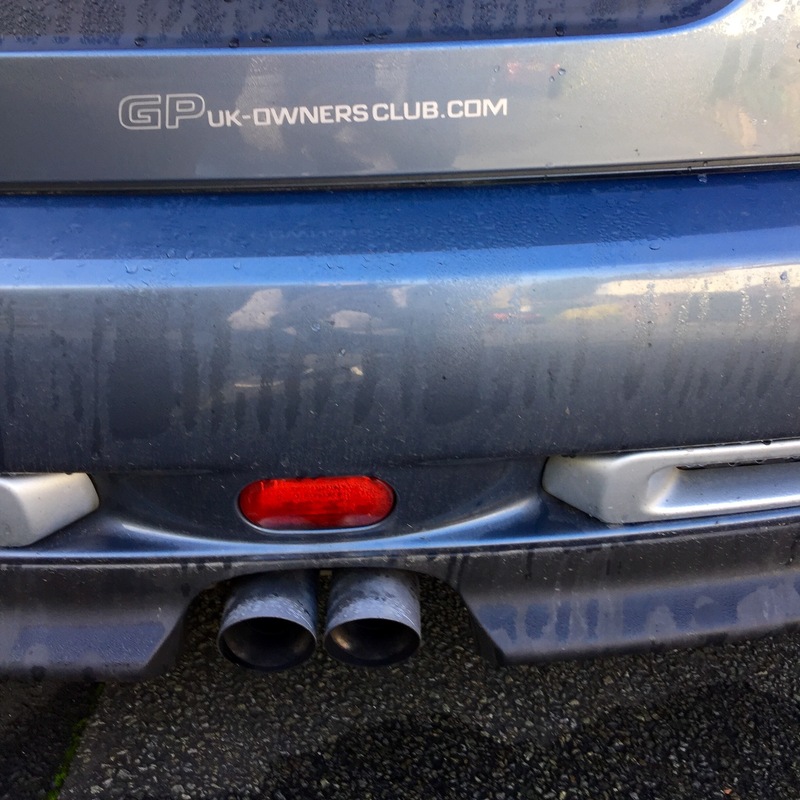 A long while back we installed the GP rear diffuser on SilverBeast. This improves the aerodynamics under the car and gives a more appealing look to the rear of the car either side of the exhaust. It is because of this visual improvement, giving the car a beefier, sportier and more purposeful look, that this modification has been so popular. However, without the engine under tray from the GP2 also being fitted then this modification in truth is purely aesthetic and gives no aerodynamic benefit at all. However, match it to the engine undertray and you have the same aerodynamic set up under the car as the GP 2 and this does make a difference. Above is what SiverBeast looked like before the engine under tray was added and below is how it looks with it installed. Yep no difference can be seen at all unless you crawl under the engine bay. This is why there has been a much lower take up on having the under tray fitted, compared to take up of the rear diffuser as a modification. In terms of aerodynamic handling I doubt I drive the car hard enough to notice much difference. That is the honest answer but having spotted other signifcant differences, I don’t doubt that is does work in making improvements in the handling. Two things we have noticed. First, the noise. This car not quiet and a lot of the noise comes from road noise under the car. 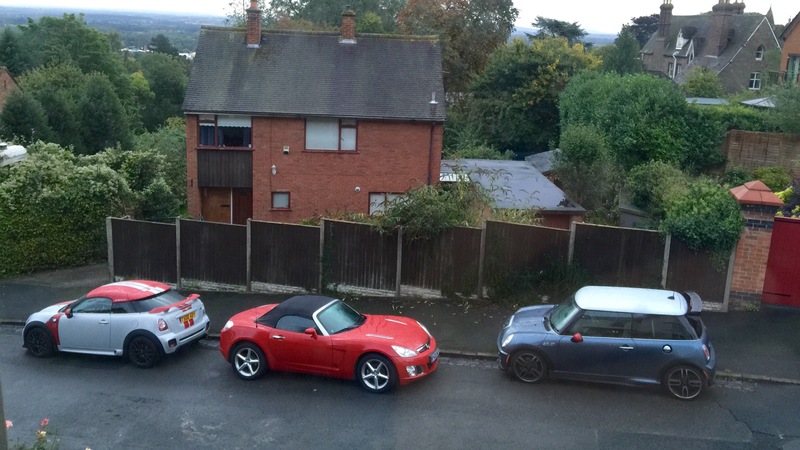 The car is a lot noisier than an R56. You had to either talk or listen to the radio but not both. Now, with the undertray fitted, you can have the radio on and still be able to talk. Now we can hear the engine more which is a much better noise than the road noise that dominated before. Also we can pick up the windscreen windnoise which again was drowned out by the road noise from below. For these benefits alone we feel the under tray has been a worthwhile benefit. Secondly, we have a better fuel consumption. We are now getting an extra 2 to 3 miles per gallon on what we got before. I kid you not here. So there you have it the GP2 under tray. It works! 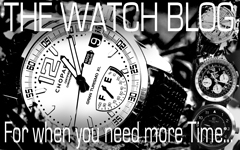 Categories: Car Blog, MINI, Our Motors, SilverBeast's Blog | Tags: GP, GP2, MINI, SilverBeast, SilverBeast's Blog | Permalink. A massive thank you to Pete Morgan from the GP UK Owners forum for going the extra mile to make the decals for our Gen 1 GP. Before you ask BP stands for our names in the MINI community, Beastmaster and Peanut. 500 is because all our cars have 500 in their number plate. 5 is because we have 5 cars in the “500 Club” although one we have given to The Elf – Peanut’s daughter. 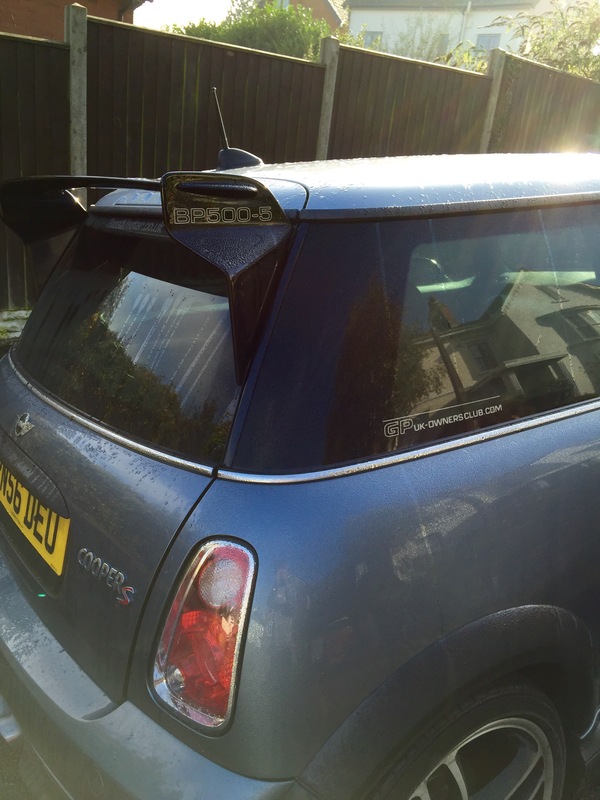 Finally we have MINI cooper laurels because all our MINIs wear these on their A – Panel. Next stop is the “500”number plate! 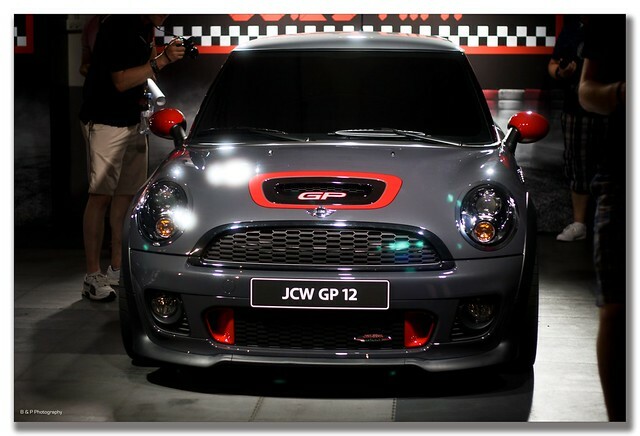 Categories: Car Blog, MINI, Our Motors, ThunderBeast's Blog | Tags: GP, MINI | Permalink. We have had the GP for a few weeks now and I wanted to put down a few thoughts on the car. Part of my first assessment, I have reproduced below. “The Coupe is a lot more economical. In truth I feel it is a smidge faster but in handling I think I prefer the GP. It is the mechanical limited slip differential that gets you round a corner so beautifully that just edges the handling in the GP’s favour. The Coupe is a grown up hooligan. The GP is an adolescent hooligan. The Coupe has all the toys for grand touring particularly sat nav. The GP though also has the heated seats and in the case of this one a very nice sounding Kenwood stereo matched to big boot floor mounted speakers. It sounds great, better than the Harmon Kardon on the Coupe but is fiddly to use and lacks the DAB of the Coupe which is so vital for the football. Nothing has changed on that initial assessment. But there are a few things I can add. I have described the Coupe as a GP – esque GT and I think that is right. It has the fun factor, but is a bit more comfortable. It isn’t forever urging you to drive like a demon. You can if you want but you don’t have to. With the GP it is always urging you to go faster. Great fun but taxing if you are not in that kind of a mood. Two weeks on and we are getting the hang of using the Kenwood HiFi. The sound is superb but the radio reception is awful. We suspect the stubby aerial is the problem but trying to remove it is proving hard. We got the aerial off but it left the screw in adapter in the base plate. This just turns and turns but does not come out and in the process we have put a small crack in the plastic antenna base, Water might get in so I think we now have the bigger job of replacing the base plate. The next thing to break is the driver’s seat. I suspect that only one driver has driven it for the last few years so this has had little use. Now with two drivers we are constantly adjusting the seat height and it has decided to jam. Our plan is to get an old seat remove the mechanism and replace. By removing the mechanism on the old seat first we will have mastered the process before we touch the GP seat. For now, though I am sat a smidge too high and Peanut is a smidge too low. No other breakages and tinkering is left. 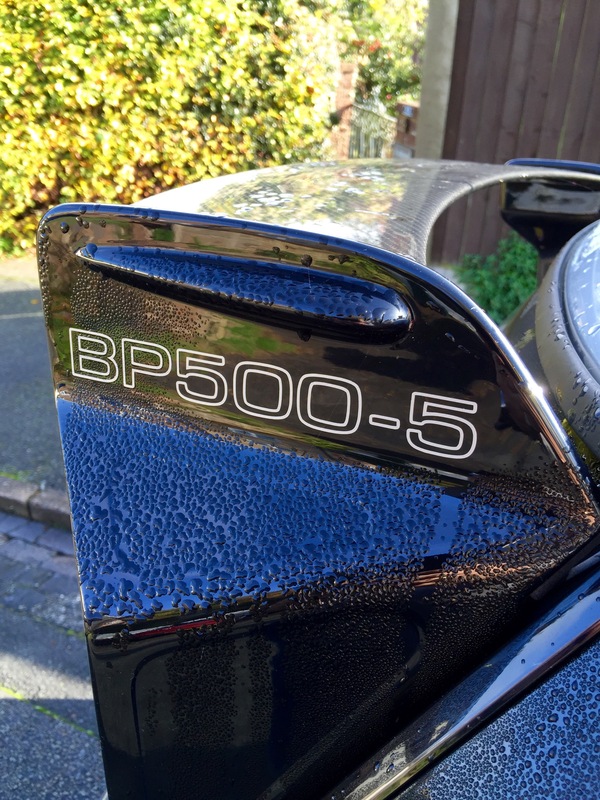 We will put the BP500-5 number on him but small so as not to fight with the original GP 0545 roof number. I think we will locate these either side of the rear spoiler. We will also add his name – ThunderBeast – as a decal probably on the bottom of each door and we will give him a 500 number plate. Peanut meanwhile has made a few observations of her own. First, we used to have a generation 1 MINI Checkmate works and fast driving meant adopting the brace position as a passenger where the 45 degree hand grab in the door panel was of great use. In the GP she very quickly remembered this position! Meanwhile we will carry on enjoying him. Secondly, she enjoyed rediscovering the noise of the Supercharger and how a flap opens at 4000 revs to let more noise into the cabin. Glorious! 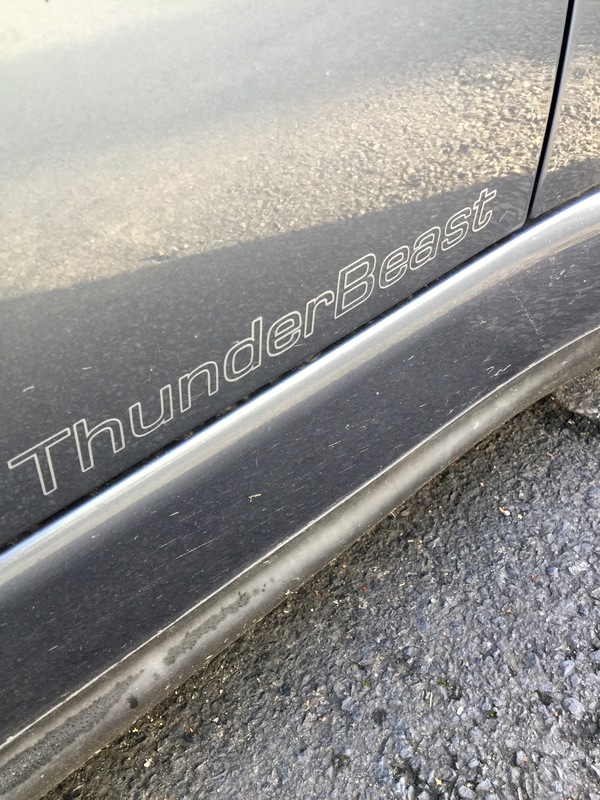 Here are some quick photos of ThunderBeast. He is a standard GP apart from the hiFi which has been swapped out for a Kenwood head unit and a neatly installed set of rear speakers in the boot. 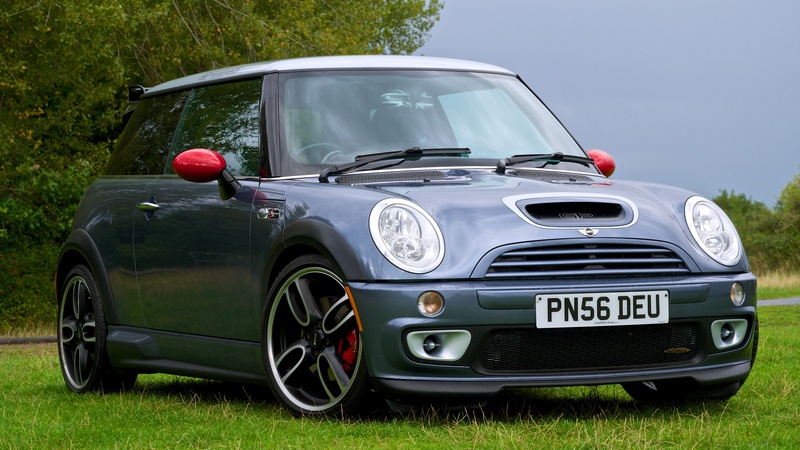 Categories: Car Of The Week, MINI | Tags: GP, MINI | Permalink.